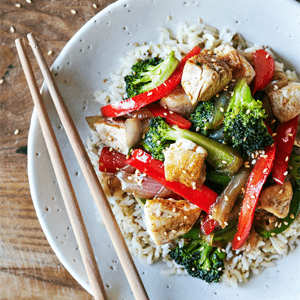 This simple Teriyaki Chicken Stir-Fry recipe is an easy place to start for those who are new to healthy cooking, and it may become your go-to healthy dinner for nights when you’re short on time (perfect if you have pre-chopped veggies in the fridge or freezer). Start by having all of your ingredients prepped, and make sure your pan (or wok, if you have one) is screeching hot. 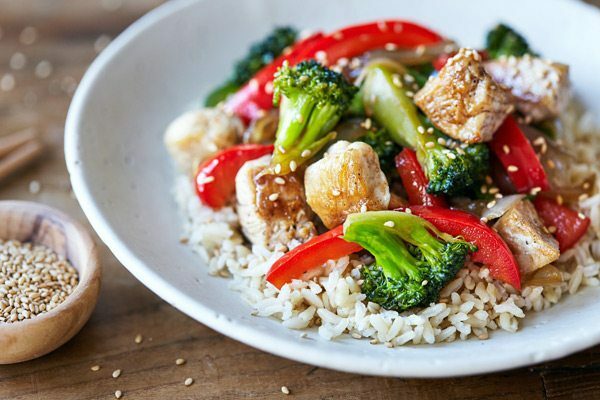 For best results, cook your Teriyaki Chicken Stir-fry ingredients in batches: start with the chicken, and once that’s cooked, remove it from the pan before tossing in your veggies. 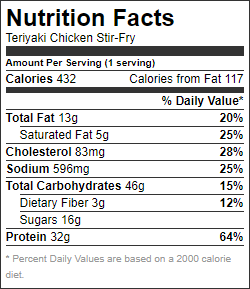 Why cook your stir-fry in batches? Well, if it seems a bit high-maintenance, know that it’s worth it. The goal of stir-frying is to quickly sear the ingredients until tender. Crowding the pan increases the chances of your veggies steaming to the point of no return, while your chicken quickly becomes overcooked. 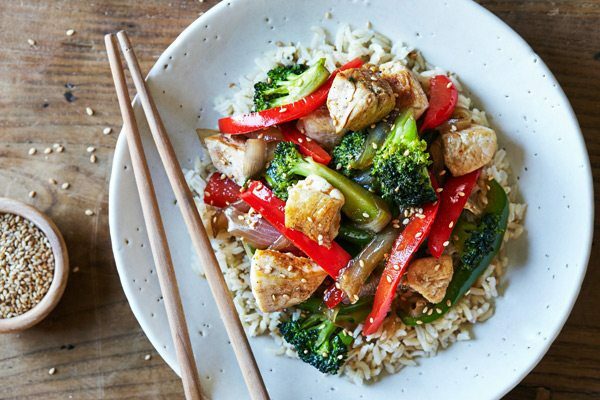 And in the end, it takes about the same amount of time regardless — so do the right thing, and cook your stir-fry in batches! For an extra time-saving tip, double the teriyaki sauce and store half in the fridge. It makes for an even faster second dinner throughout the week. 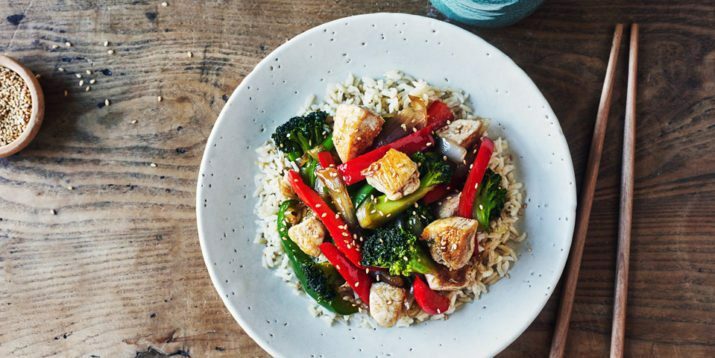 And because this teriyaki chicken stir-fry recipe is so good, you’ll definitely want to make it again! Add chicken; cook for 5 to 8 minutes, or until no longer pink in the middle. Season with salt and pepper. Add garlic; cook, stirring frequently, for 1 minute. Remove from skillet. Keep warm. Set aside. Add soy sauce, water, honey, and ginger to skillet. Bring to a boil over medium-high heat, stirring frequently. Reduce heat; gently boil for 3 to 5 minutes, or until sauce thickens. Add onion, bell peppers, and broccoli; cook covered, stirring occasionally, for 3 to 5 minutes, or until vegetables are tender-crisp. Add chicken mixture; cook, stirring frequently, for 1 to 2 minutes, or until chicken is coated with sauce and heated through. Evenly divide rice between four serving bowls. Evenly top with chicken mixture. Sprinkle evenly with sesame seeds.